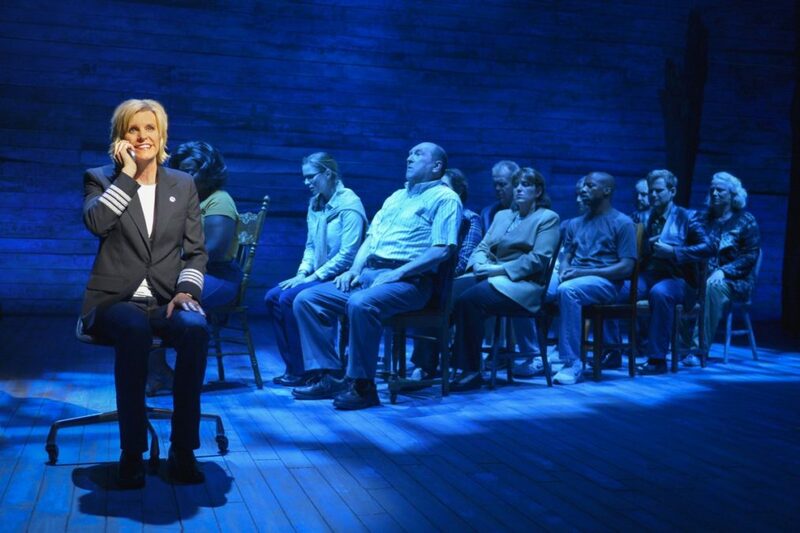 Broadway dates have been set for the much-buzzed about Come From Away. The new musical, which follows a group of travelers stranded on 9/11, will begin performances on February 18, 2017. Opening night is scheduled for March 12 at a Shubert theater to be revealed in due course. The production has also announced that it will honor the residents of Newfoundland and Labrador and the “come from aways” whose lives inspired the tuner with two benefit concert performances at Gander’s hockey arena, The Steele Community Centre, on October 29. 100% of the revenue from the shows, which will star the Broadway and Toronto company, is set to be donated to local Newfoundland charities that support the affected communities. With a book, music and lyrics by Irene Sankoff and David Hein, Come From Away will be directed by Christopher Ashley and choreographed by Kelly Devine. In a heartbeat, 38 planes and 6,579 passengers were forced to land in Gander, Newfoundland, doubling the population of one small town on the edge of the world. On September 11, 2001 the world stopped. On September 12, their stories moved us all. The cast will include Chad Kimball, Jenn Colella, Petrina Bromley, Geno Carr, Joel Hatch, Rodney Hicks, Kendra Kassebaum, Lee MacDougall, Caesar Samayoa, Q. Smith, Astrid Van Wieren and Sharon Wheatley. After acclaimed engagements at La Jolla Playhouse and Seattle Repertory Theatre, the new tuner will now head to Washington D.C.’s Ford’s Theatre (September 2 through October 9), and Toronto’s Royal Alexandra Theatre (November 15 through January 8). The Broadway company is also set to play Toronto.